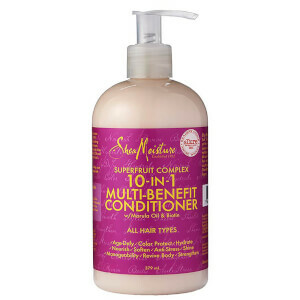 Treat dull, lack-lustre locks to the Superfruit Complex 10 in 1 Renewal System Shampoo from Shea Moisture. 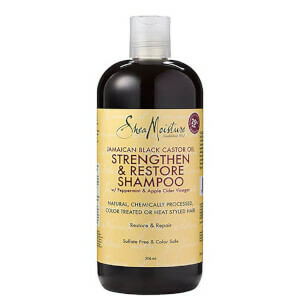 Delivering multiple benefits to hair, the antioxidant-rich formula gently cleanses, rejuvenates and hydrates hair, whilst providing color protection to maintain vibrancy. 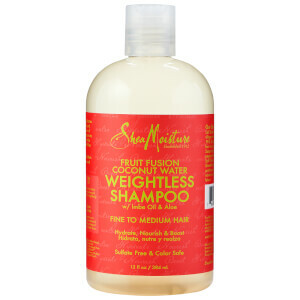 Fortified with a Superfruit Complex that blends Red Raspberry, Ketones and Goji, Acai and Guava Extracts, the lightweight, anti-aging shampoo softens and nourishes from root to tip, whilst Marula Oil improves elasticity and Shea Butter deeply moisturizes. 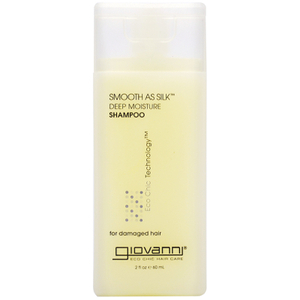 Expect calm, manageable locks with lustrous shine. Age-defy, color protect, hydrate, nourish, soften, anti-stress, manageability, revive body, no build-up, rejuvenate. Water, Decyl Glucoside, Sodium Lauroyl Lactylate, Glycol Stearate, Guar Hydroxypropyltrimonium Chloride, Panthenol, Hydrolyzed Rice Protein, Fragrance (Parfum), Biotin, Butyrospermum Parkii (Shea) Butter***, Sclerocarya Birrea Seed Oil, Aloe Barbadensis Leaf Juice, Rubus Idaeus (Raspberry) Fruit Extract, Lycium Barbarum Fruit Extract, Euterpe Oleracea Fruit Extract, Psidium Guajava Fruit Extract, Stearamide AMP, Glycerin (Vegetable), Caprylhydroxamic Acid, Caprylyl Glycol, Citric Acid, Sodium Citrate, Ipomoea Batatas Extract, Cinnamidopropyltrimonium Chloride.